Navarra is a region of incredible contrasts from the high mountains in the north east to the fertile plains in the south, from the humid valleys of the Atlantic Pyrenees to the desert of Las Bardenas Reales. 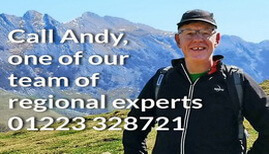 In the Northeast the Pyrenees start to rise with rocky mountains of 2000m+ and white water rivers. Here the gorges of Arbayun and Lumbiers cut through the rock and provide habitat to Europe’s largest colonies of vultures and the enormous forest of Irati provides one of the largest unexploited mixed forests still to be seen. Moving west the scenery becomes softer with mountains in the order of 1000 to1500m as the Pyrenees descend to the sea. Here we have the rolling valleys of Baztan and Bidasoa with their perfectly preserved little towns and easy access to the French Pays Basque and the coast at Hendaye or Biarritz. To the south the colour scheme changes sharply from green to dry reds, yellows and browns, indeed the Ribera region enjoys a Mediterranean climate suitable for growing Spain’s finest peppers and asparagus and, of course, wine! 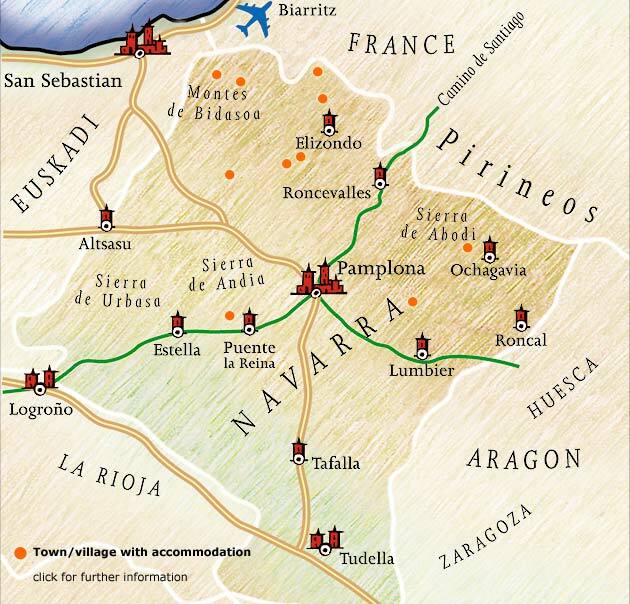 Due to it’s position on the Camino de Santiago and it’s strategic importance between Spain and France, Navarra is a region steeped in history and the interested visitor will find no end of well preserved medieval castles, monasteries and historic towns to keep him interested. To quote Shakespeare from Love's Labours Lost " Navarra shall be the wonder of the world".